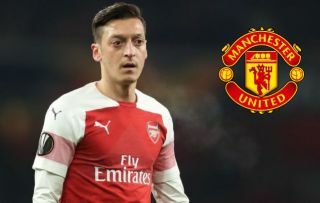 Mesut Ozil to Manchester United transfer rumours are gathering pace once again this January as they did when the Arsenal playmaker’s future was in doubt this time last year. The German playmaker has fallen out of favour with Gunners manager Unai Emery this season, with trusted BBC Sport journalist David Ornstein revealing the Spaniard has told the player he can leave the Emirates Stadium. Ozil is now being talked up as a Man Utd transfer target in a report detailed in the video below, suggesting Juan Mata could make his way to Arsenal as part of the deal. While swap deals of this kind are pretty rare, it is worth noting that just last January these two clubs did precisely the same thing as Alexis Sanchez and Henrikh Mkhitaryan swapped places. Ozil could be a fine fit at United, adding some much-needed creativity to the side and looking a good fit for the style of football played under new manager Ole Gunnar Solskjaer. And unlike most world class players in the middle of the season, the 30-year-old does surprisingly seem to be available. Mata joining Arsenal would surely also appeal to Emery as it gives him a direct replacement for Ozil, and a player he’s worked with before. United would also be offloading a player close to the end of his contract and using that to get a smart deal done, so everyone wins. The Daily Star linked the Spain international with Arsenal earlier this season, and he was also notably targeted by the north London giants a few years ago before he ended up at Chelsea instead.